Hence the litany of  proprietors suppressing what might annoy him and the harassment of those who still seek to get out some version of the truth. The phenomenon is familiar: I saw it in Russia, as Vladimir Putin closed in on a chaotic but relatively free journalism. 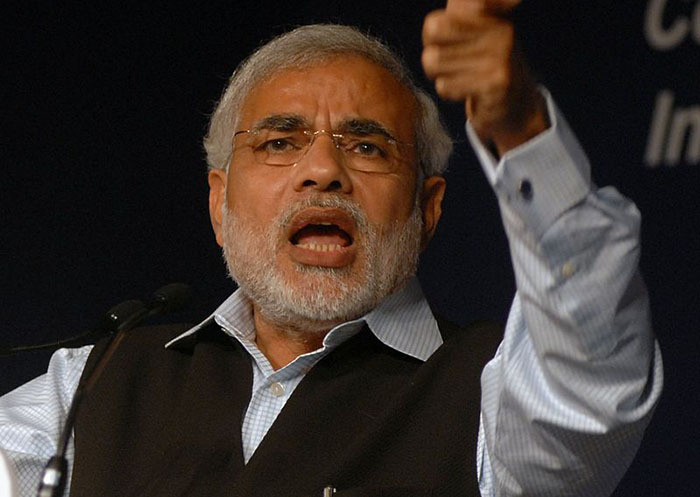 India claims to be the world’s largest democracy. It is one still: governments change in broadly free elections; opposition can be fierce; the media are curbed but not silenced. The trend, however, is negative. And for what will be soon the world’s largest state, with a prime minister tending to the authoritarian, that matters greatly. 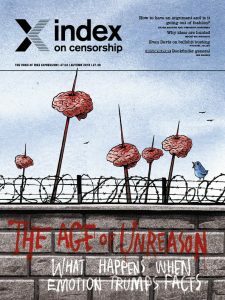 Index on Censorship’s autumn 2018 issue, The Age of Unreason, asks are facts under attack? Can you still have a debate? We explore these questions in the issue, with science to back it up. The autumn 2018 issue of Index on Censorship magazine explores the age of unreason. Are facts under attack? Can you still have a debate? We explore these questions in the issue, with science to back it up.